I am working on re-focusing my collection, so I have some plushies that need a new home. Please know that all prices are haggleing friendly, and I can give multiple items small discounts!! Anyway, I wanted to apologize for being so absent lately. Between a sore back and severe insomnia (which I'm finally getting treated) that makes me exhausted all the time, I haven't been online much in the past few months. I updated my Tumblr because it's available on my phone, but things like updating my sales were out of the question. And my RPing suffered too...aaah but now I'm going to try to keep up with everything! Mark my words! So I have a discussion topic for you, as well as two wants. Question: What fifth gen pokemon did you think you would collect but didn't? I thought I'd have a big pile of Woobat by now but for some reason I don't. I'm a bit turned off by the merch and I don't know why. 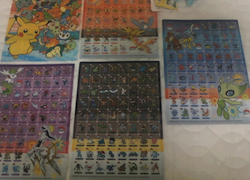 And my wants are the Team Galactic DVD and the poster that came with the Diamond and Pearl Adventure! box set (I have all the volumes and it'd be silly to get a box set just for a poster). Anyone have either one of these? 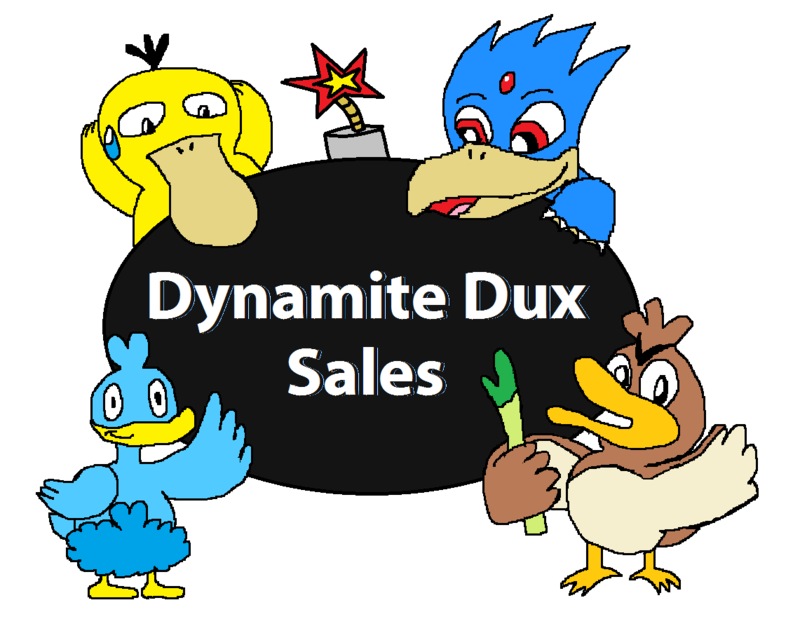 Updated Sales + new AUCTIONS! 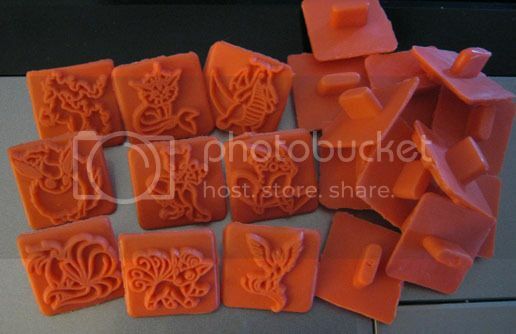 Charms weeding, Nobunaga merch, etc! 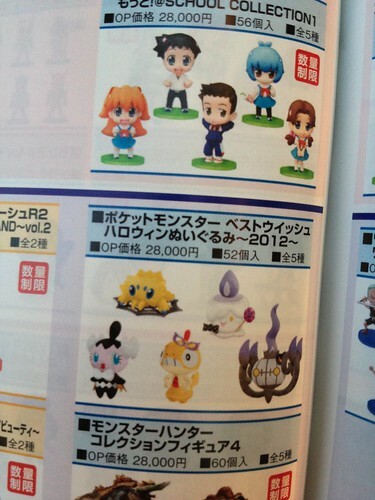 auction reminder + banpresto merchandise order info! Click the pictures to proceed. Also, I received some PMs about whether I will be organising a bulk order for the Banpresto Halloween Plush series from my Japanese supplier, so since this set is being discussed today I will respond to these PMs here. 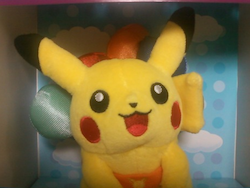 While I am keen on ordering it for Litwick and maybe Joltik, I am still waiting for them to give me word as to the quantities of each character before deciding, reason being I am worried about there being an undesirable number of Gothitas over the others if I were to order a box. Also, the number of Gothitas will determine the price of each plush, I need to price the others slightly higher to offset any Gothita-induced losses XD, but a rough ballpark will be about $20+ per plush before shipping. =D Hooray for GB-esque prices! For those who love Joltiks, do get them via GB in August or from donny9 as the Singaporean store Seimon-Cho is a more certain source. Also, I am not ordering the next series of Waza Museum figures as I do not collect any of them, sorry! However, I started seeing BIN pre-orders for the first series (Tepig, Oshawott, Snivy, and Zebstrika) going for 3000Yen per full set on Y!J, so perhaps these figures will be very visible and available in time to come! Idk how well you can tell from the picture but he is. I was wondering if this is normal? Or if this is some kind of special mightyena kid (I hope not cause then I gotta track down the normal AND clear -_-") Thanks for the help! I come to you.....WITH A STORY. A story of courage, pirates, wide open sea, but mostly, cleaning a dirty grail kid! So this is how my boobooboobooboo wailord kid began; nothing serious, just some stubborn struffs and marks! Do you guys have any other different methods of cleaning your kids or figures? Or do YOU have an awesome rags-to-super cleanliness stories of your figures or plush? I WANT TO KNOW!!!! Today I bring you some of my duplicate flats from my flat collection that I just found while doing some spring cleaning, these rare recalled pokemon valentines. 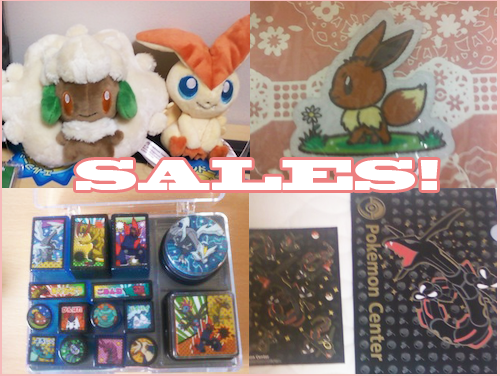 One more sales post update from me because I'm poor I noticed I've accumulated doubles of some rare figures! 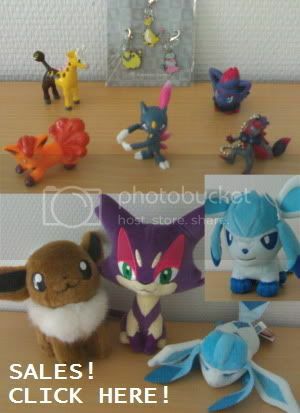 Selling some super neat things like a Girafarig Tomy figure, alternate pose Sneasel Tomy figure, Vulpix European candy figure... also added a few Tomy plush! I have some pretty awesome gets to show everyone! I've been buying up some neat little things here and there, and now I finally have some pics to show off what I've gotten from the community and elsewhere. Not sure if this is going to come out in English, so I grabbed it up as soon as I found it! I currently have all the Victini cards, and 2 out of three of the jumbo Victini cards. My Victini card collection is almost complete! 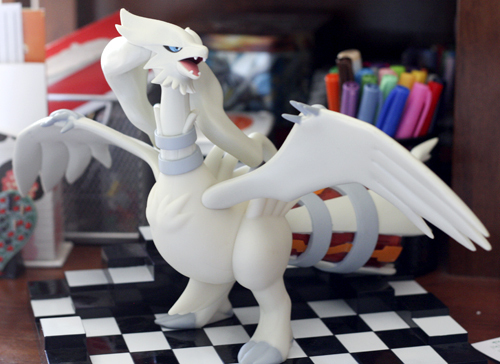 Reshiram Lottery figure! Holy crap this is big and awesome! I've started collecting Reshiram, and once I get a proper place to display my Reshies I will take some better pics. 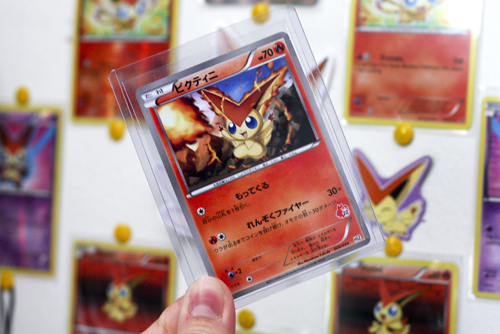 Also I have a few Japanese cards that came with my Victini promo card that I don't really want. I'm not sure what they are worth if anything really, so please make me an offer! I'll be taking offers until tonight, at 8 PM CST. Please see my rules and shipping info here. Raichu is a very sparkly holo card. The Combusken is some weird double sided card... not a TCG I don't think. I got a good job!! In video games!! As an English major!! And I haven't even graduated yet!! More exclamation points, more excitement!!! So. I'd like to spend some money today. 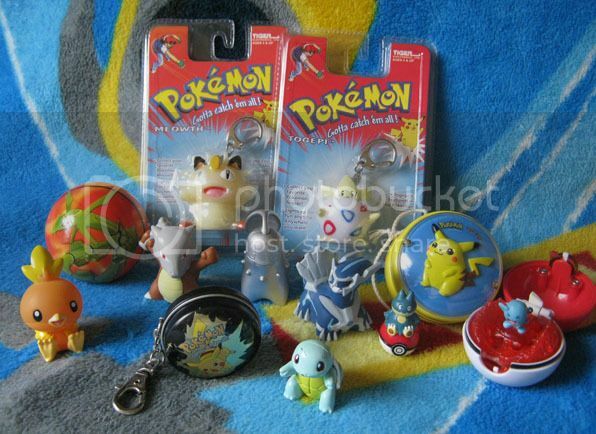 I am looking for the Magikarp Pokedoll! Hey, everyone! I'm here to remind everyone that I've got a lot of auctions going on and they all end tomorrow at 11pm CST. 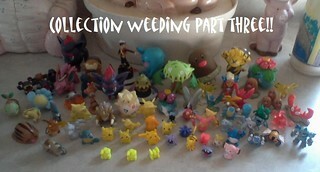 There are still many items that have no bids including Charizard and Charmeleon dice, FCS figures, and many, many more! auction and sales reminder + stamps! 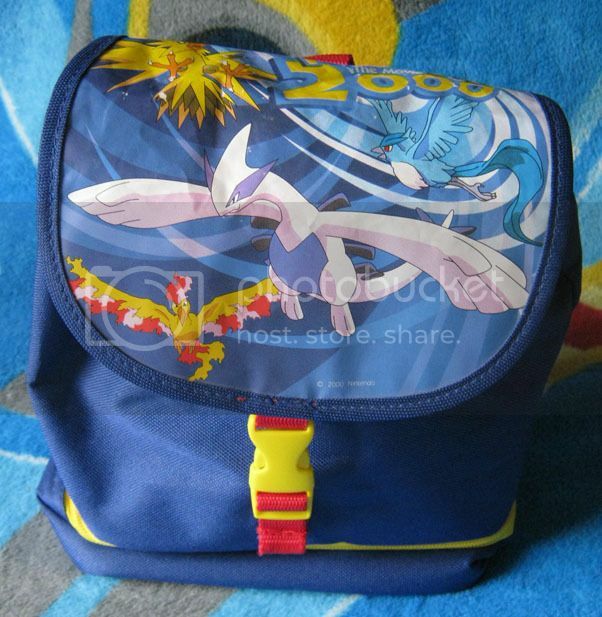 Just a reminder that my Legendary Birds lunchbox will be ending tomorrow at 6 PM EST! 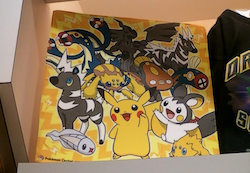 You can find it as well as several plush, lots of cute playing cards, and a ton of rubber stamps featuring the first 151 Pokemon HERE! Don't you love my 5 minute banner? 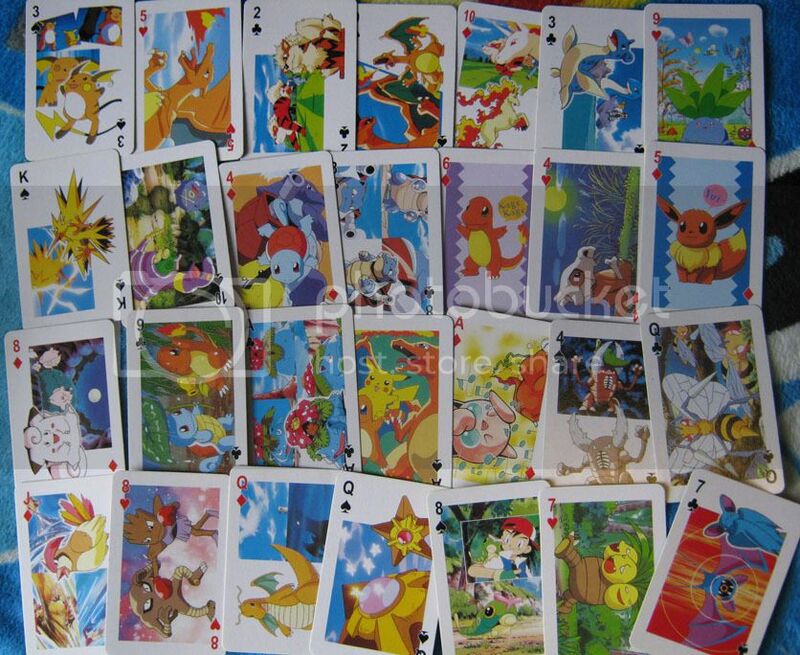 Most of the things up for trade are TCG cards.... but I have some figures, coins, stickers, Topps cards, etc. Epcot.Haul?....oh and some rare (?) finds. Hi. Today my class went to Epcot. It was very fun! All of my small group was a collector so we definitely hit up Mitsokoshi. Payments 1 for Nasija Lot GA 2 are due! I come to you with the first payments that are due for this wonderful GA! Hey guys, I just went to my local shop and checked out the new banpresto magazine. I had a rude shock when I found out someone ordered every single Krookodile Museum figure. Fortunanately i managed to get my Axew and Bisharp figures. But anyways because of this I believe I should take orders for just these figures in advance to prevent this from happening again. Hence I will be taking orders for 4 items today: Waza Museum Figure set 2 and 3, Joltik Banpresto Plush and Joltik MPC as I know the extent of demand for joltik on this community.